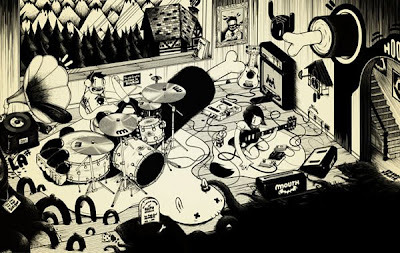 Illustrator Mcbess brings his delicate line and musical characters to The Concrete Hermit Gallery this Thursday. Prints will be available as well as an exclusive test pressing of a record with Mc and The Dead Pirates called ‘Malevolent Melody’. 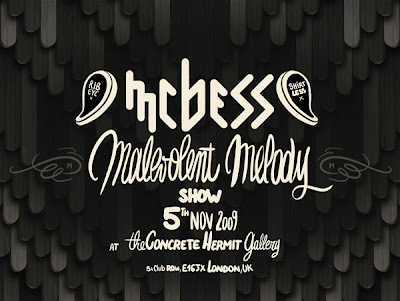 Nobrow publications will also be launching their new Mcbess Monograph during the show. The show opens on the 5th November with a private view and the exhibition runs until the 30th November 2009. UPDATE: Concrete Hermit have a set of photos from the opening night up over on their flickr here.